Can we measure and predict reader engagement? Twipe set out to answer this question, along with Mediahuis and two research groups from KU Leuven. In the two years since this Digital Reader Engagement (DRE) project began, we have learned what happens in the body while reading and turned this into our Google DNI-backed product EngageReaders which gives newsrooms actionable insights on a daily basis. 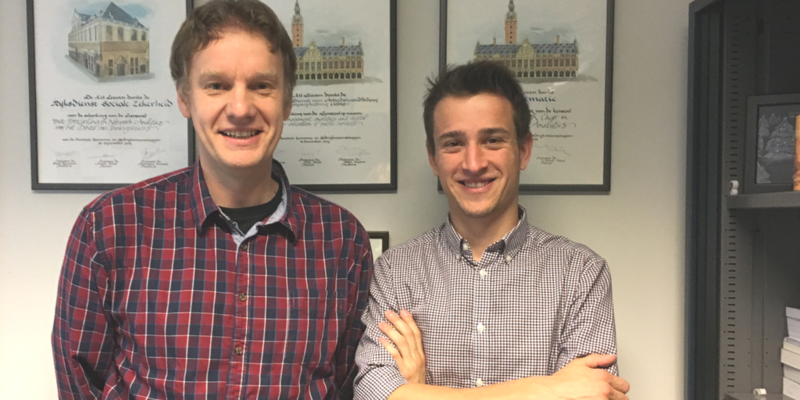 Professor of Analytics Bart Baesens and PhD Student Klaas Nelissen, researchers at KU Leuven, sat down with us to discuss their findings and what lessons the media industry can learn from them. One key finding that both researchers wanted to highlight is how many in the media industry are ignoring, or not even aware of, the potential treasures hidden in the vast amounts of data they collect from readers. The first step in getting to know your readers is to understand where you are in terms of business analytics maturity. Take stock of your data awareness, do you collect reader surveys regularly? Have you instrumented your apps so that you have an understanding of reader behaviour? Then in the second step, news organizations without much hard data already extracted from their digital publications or reader surveys can begin with qualitative experiments. By observing how your readers interact with your edition, you will begin to develop a general sense of your readers and their behavior. Klaas Nelissen explained that during the qualitative portion of his research, observing the readers of two different newspapers clearly showed that there were clear differences between the two groups of readers. The differences were not only in how they talked about their experience with the newspaper, but also in broader ways, such as how they looked at the world in general. Then news organizations can move to the third step, implementing a behavioural tracking aspect. This will give the newsroom clear insights to act on. To implement this behavioral tracking, it is important to first decide what level of analysis to conduct. Klaas Nelissen looked at how the level of analysis affects the research of reader engagement, moving from one reading session to an interaction with one article. By changing the level of analysis to one article, he was surprised to see that swipe actions were one of the most reliable predictor of engagement. Privacy is sure to be a growing concern in 2018, due in part to the looming General Data Protection Regulation affecting all companies collecting data of European Union residents. But this should not deter news organizations from developing data awareness and insights, thanks to Klaas Nelissen’s finding that swipe patterns are the best predictor of reader engagement. As such, behavioural tracking can serve as a privacy-preserving way to understand your readers. The next stage in this multi-year research project is to link the findings from the biosensor data to specific swipe patterns. 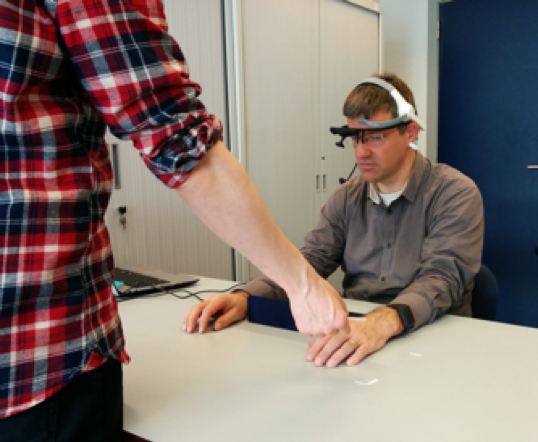 Klaas Nelissen will study how to connect the measurable impact of reading in the body with the swipe patterns of engaged readers, in order to predict reader engagement without needing to monitor what is happening in the body. By putting together the knowledge learned from how the body reacts when a reader is more engaged and the swipe patterns learned from the qualitative experiments, he hopes to be able to expand from small samples of readers to scaling their insights to potentially all readers of a newspaper, through behavioural tracking. We will be sure to keep you posted on future developments in digital reader engagement. This entry was posted in Industry news and tagged artificial intelligence, Digital publishing, Digital Strategy, EngageReaders, Innovation, Reader Engagement. Bookmark the permalink.